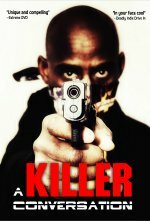 Your new movie The Devil of Kreuzberg - in a few words, what is it about? It's like a modern-day Jean Rollin film. I have written about The Devil of Kreuzberg that it "seems like a film misplaced in time, it's highly reminiscent of genre cinema of the 1970s and 80s" - a comment you can at all live with and your thoughts on this? That's a very fitting description. Films from the 1970s and 1980s are the most inspirational. If I have to choose between watching a film that's just come out or an obscure 1970s film, I go for the latter. Contemporary films are too cold, I find. There are however, some brave DIY homemade epics emerging that show there's still some hope for independent cinema. I didn't really have the opportunity to direct much, as it was such a tight guerrilla shoot. We'd run in, grab the most basic shots possible and move on. There really was no time for anything else. Two-three takes, that's it. When you've got bagfuls of gear to carry your directorial approach tends to be of least hassle. What can you tell us about your writer Pippo Schund, and what was your collaboration like? Pippo and I go back a few years. He's a screenwriter and journalist. He also made a film called Tollwut from his own screenplay. We first collaborated on a short film Z�rtlichkeit, which we co-wrote and acted in together. It's a downbeat relationship movie inspired by the cinema of Rainer Werner Fassbinder. Pippo is largely responsible for the fact that I'm still an active filmmaker. Last time I saw him in Berlin, I was full of negativity and told him I was quitting the whole movie thing. Later that night we went to a cinema to watch Strange Colour of Your Body's Tears. The film sort of gave us a headache, but some of it was also inspirational. So much so that a couple of days later Pippo sent me a new screenplay. I got really fired up and made it into The Devil of Kreuzberg. Pippo is a friend. By chance I ran into members of a kinocabaret cell at the Loophole bar in Berlin, and their organiser, who now goes by the name of Ross Indecency, has challenged me to make a movie in a month. It's their thing: you announce a project, ask other members to be in your film and help you with equipment, and in four weeks you have to bring your film, no matter how rough and incomplete that may look. So I took the challenge and in return cast Ross in the lead role. I think your film's musical score is one of its key elements - so do talk about the music used in your movie for a bit, and were these all pre-exisiting tunes or were they composed for The Devil of Kreuzberg? No music was composed specifically for the film. I approached the Italian horror electronics act Spettro Family about using some of their tracks and was lucky to get some of their best tunes. The Devil of Kreuzberg is also scored with tracks from my regular collaborator Alex FLE Zhemchuzhnikov, and his various bands and projects. Music is the most amazing thing in the world, and I like to give music plenty of room in my films. 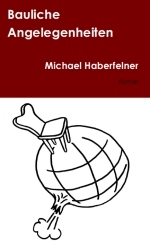 I've met Sandra Bourdonnec, S�leyman Y�ceer and Ross Indecency in a bar. I loved S�leyman's look, he reminded me of a young Abel Ferrara and I immediately approached him to be in the film. Sandra Bourdonnec is a singer and an actress. Miguel Sepreny, the DoP, also has a small part in the film. The guys trusted my vision and stuck with me until the end, they made the film possible. Do talk about the shoot as such for a bit, and the on-set atmosphere! There was a bit of a money shortage. Like we didn't actually have a printed hard copy of the screenplay. It was either reading off your mobile phone screen or writing by hand, cause printing stuff costs money and that's something we didn't have. We had 16 shooting days spread over three or four weeks. These weren't all full shooting days, more like afternoons. I remember being quite hungry. Twice a week I'd go to Real and would buy 7 or 10 Euros worth of their own brand food. You know, the cheapest I could get: some pasta, bread, eggs, tinned veg, a carton of milk. I remember buying the cheapest biscuits I could get for snacks and brewing the same teabag more than once. Thank god Berlin tap water is potable, or else I don't know how I would have survived. I remember living off my friends/lead actors. At least once a week I'd pop round to see Ross and eat whatever was in his fridge and another time my DoP Miguel would buy me a beer and Sandra would often invite us over and treat to something substantial. Everyone from Ralph the sound-man to Sofia the actress would feed me. I remember falling progressively ill, being feverish and sleeping 4 hours every two days. I remember the rain. It would rain whenever we had exterior shoots scheduled. We also had a massive storm/hurricane which made us retreat underground and shoot inside the Metro station while stuff was getting blown about on the surface. I remember making crude storyboards and writing additional scenes while riding the Metro to the next location. I remember being switched on and in-the-moment at all times, which made those 16 days seem like a lifetime. Well, not many people have seen The Devil of Kreuzberg. It's not been properly released yet. But I have people asking me when it's out on DVD, so that's the best possible reaction. 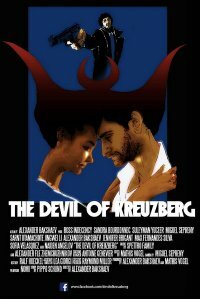 I'm working with Carnie Films on a DVD release of The Devil of Kreuzberg. Compliling extras for the DVD, which is due out in September 2015. We're making just a handful of copies, this release comes with some short films and a behind-the-scenes featurette as extras. 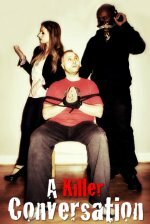 I worked as production assistant on a bunch of no-budget horror films before making my own. I have no formal training. What can you tell us about your filmwork prior to The Devil of Kreuzberg? I made a short film Bittersweet and a medium-length film Naked Trip. I also appeared in bit parts in some DIY films, usually the ones where I was otherwise involved as production person or writer. You have made movies in the UK, Russia, Germany - so how do filmmaking conditions and filmsets compare in those countries? If you find creative people who're on the same wavelength it really makes no difference where the shoot takes place. Countries - that's a very artificial thing, it has nothing to do with cinema. My cinema is based on people, not countries. Rainer Werner Fassbinder, Lucio Fulci [Lucio Fulci bio - click here], Jean-Luc Godard, Jess Franco. Fassbinder's Fox and His Friends/Faustrecht der Freiheit, Coscarelli's Phantasm (1979), Godard's JLG/JLG - autoportrait de d�cembre, Lucio Fulci's City of the Living Dead [Lucio Fulci bio - click here], Larry Cohen's God Told Me To [Larry Cohen bio - click here], Jean Rollin's Night of the Hunted, Umberto Lenzi's Spasmo [Umberto Lenzi bio - click here]. I'm not fan of bashing movies. So, no comment.